A long-term plan for fixing roads may not be in this year’s Michigan budget. 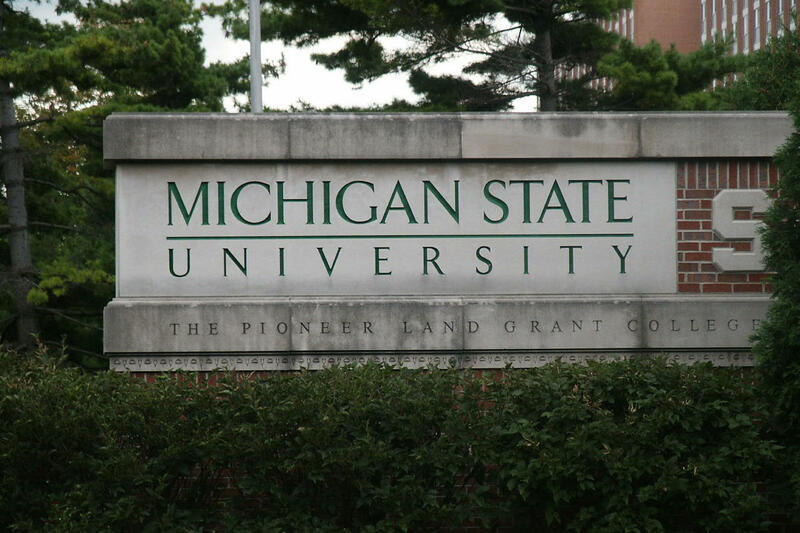 An MSU student who says she was discouraged from bringing a sexual assault complaint against three basketball players steps forward. Michigan’s Secretary of State wants shorter wait times. (MPRN) A long-term plan to fix Michigan’s roads might not be part of the state budget this year. Senate Majority Leader Mike Shirkey (R-Clarklake) said he wants to include more money to fix the roads in the short term in the state budget. But he also wants to figure out a long-term policy – that possibly includes new revenue sources –separately from the budget. Governor Gretchen Whitmer wants the budget to include a plan to keep bringing in new money for the roads over the long term. She wants to increase in the state’s fuel tax eventually by 45-cents per gallon. Whitmer said she won’t sign a budget that only has a temporary plan for the roads or that doesn’t raise more than 2 billion dollars. That promise could be tested in early June when Shirkey says he hopes the Legislature will have its budget ready for Whitmer to sign or veto. (Michigan Radio) Michigan Secretary of State Jocelyn Benson says she wants to modernize her department’s branch offices. Benson says too often people renewing their driver’s licenses have to wait in long lines. She wants to cut waiting times to 30 minutes or less. Benson recently toured all of her department's 131 offices around the state. (MPRN) A state commission says a judge in Livingston County should be removed for misconduct. The Michigan Judicial Tenure Commission sent its recommendation Thursday to the Michigan Supreme Court. The commission says District Court Judge Theresa Brennan lied under oath, tampered with evidence in her own divorce case, and carried on an improper relationship with a police detective. That was at the same time the detective appeared before the judge in a case she presided over. Brennan will have a chance to respond to the recommendation before state Supreme Court justices makes a decision. (WNMU) The Department of Environmental Quality says an Upper Peninsula power plant can burn biomass fuel pellets to generate electricity. The L’Anse Warden Electric Plant recently burned old railroad ties. It will switch to scrap tires and pellets made of plastic and paper material. The plant supplies electricity to DTE Energy. The permit requires L’Anse Warden to reduce the amount of scrap tires burned. It also won’t be allowed to burn tires and pellets at the same time. The DEQ says emissions should be reduced under the new system.